El entrenamiento está programado con base al nivel que desea acreditarse y su durabilidad varía de acuerdo al nivel elegido para capacitarse. Formar Black Belts en la metodología de clase mundial “Six Sigma” y sus herramientas -tanto estadísticas como de análisis de procesos- de manera extensa para la mejora drástica de indicadores mediante la disminución de la variación de procesos, resultando una reducción de costos y desarrollo de los mismos y del personal. 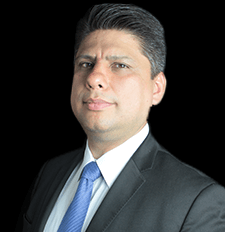 Based on his broad experience, Gustavo is expert applying a suitable approach for Continuous Improvement needed on the different organizations from a Business results optic, becoming an effective Coach for Top Management and support for The Toyota Way roles. Gustavo has learned The Toyota Way directly from its Author, Dr. Jeff Liker, and has applied it on Gemba as a Team with many Executives from Toyota specialized on General Management, TPM, Lean Mfg Tools, and Supply Chain. Gustavo has taught the Toyota Production System at all organizational levels and has applied over 50 companies of different sizes: Lean Leadership Systems (Hoshin Kanri, FMDS, and 8-Step Problem Solving), Toyota Kata for development, Supply Chain Management, TPM, Lean Manufacturing tools (5S’s, SW, SMED, Jidoka, Poka Yoke, Heijunka, JIT, etc. ), and Lean Office approach. On Six Sigma, Gustavo as Master Black Belt has trained and certified +500 Black Belts, Green Belts, and Yellow Belts. Gustavo has +20 years of experience on Continuous Improvement, Manufacturing, Process Engineering and Quality in large companies: Motor Wheel (Automotive), Kodak, Philips, Daltile, American Standard. He has +12 years of experience as Vice/President Staff as Continuous Improvement Director for American Standard México and Master Black Belt Champion for Daltile México. He has deployed programs that have achieved +$110 Million USD in savings with +3,000 projects on all departments: R&D, Engineering, Manufacturing, Maintenance, Quality, Logistics, Supply Chain, Sales, Marketing, Finance, HR, Energy. Over his 22 years experience, Gustavo has been exposed to many different organizations applying suitable Lean approaches on a variety of systems with diversity on leadership styles. Manual y material didáctico para los participantes. Formatos y plantillas de implementación para los sistemas y herramientas Lean. Let us know your questions,our team will contact you briefly. I consent to ALFRA Lean Advisors collecting my details through this form.